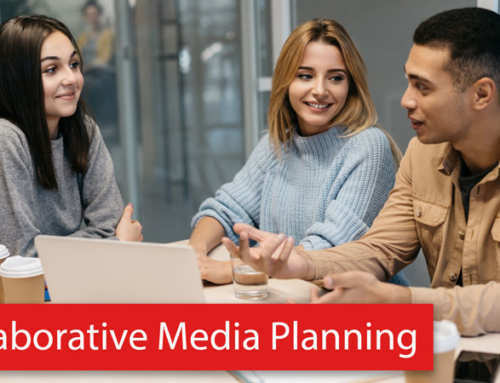 Here’s a scenario every media planner has experienced… You’re hammering away on a media plan, scheduling dozens of placements, flights and packages. Just when you thought you had everything lined up perfectly, your client calls with a bunch of changes: the campaign got pushed back a couple of weeks and the pacing of ad delivery has been rejiggered. Now you have go back through your entire media plan to re-calibrate all the flight dates and ad quantities to line up with the new advertising schedule. Not fun! Batch editing and copy and pasting helps speed things up, but are not ideal. Wouldn’t it be great if every placement in your media plan knew its scheduling policy and automatically adapted to changes in the advertising schedule? Flights are key to optimizing both your advertising schedule and budget. Timing, pacing, and spacing your ad delivery allows you to avoid over saturation and save funds for times ­­when a greater presence is desirable. 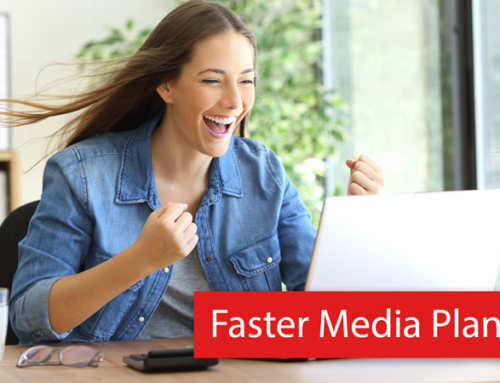 Rather than a simple, evenly paced, but sub-optimal advertising schedule, flighting enables you to concentrate your advertising during critical exposure periods. Flighting also enables you to lighten up or insert a hiatus during non-critical or blackout periods. Now your advertising delivery is better attuned with business goals. Flighting placements can be a lot of work. Instead of a simple start and end date, you need to specify a series of periods with rules and quantities. In a complex media plan, it’s difficult to keep everything lined up when changes are being made. If you are trying to do this in Excel, it’s a downright nightmare. 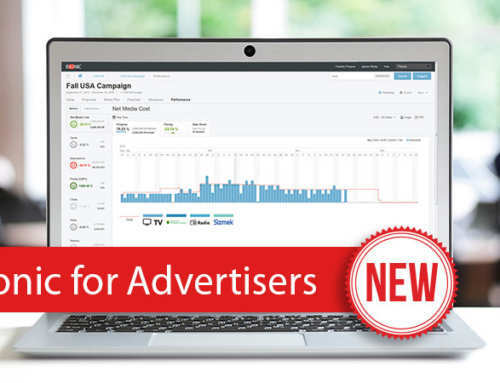 Bionic’s latest upgrade gives you new tools for smarter advertising schedules. 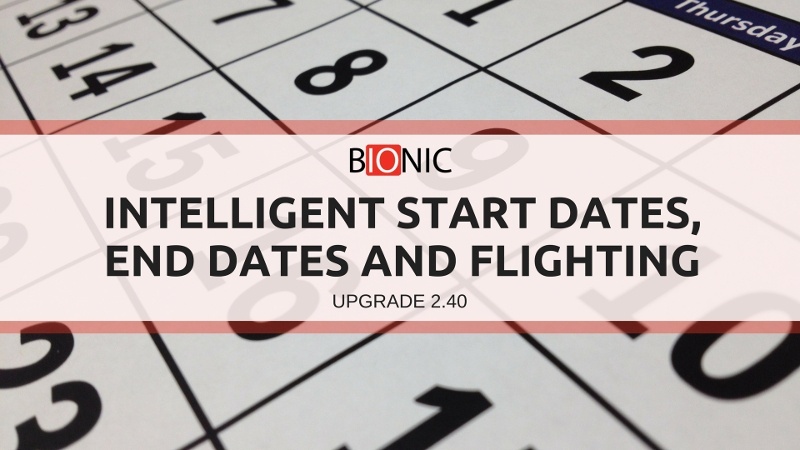 Instead of toiling away setting and fixing dates manually, Bionic will automatically lay out your schedule based on your advertising rules. When you make a change, Bionic will automatically adjust all the affected flights according to your rules. As a result, your advertising schedule will always line up perfectly with your objectives. Manually editing start dates takes a lot of time. 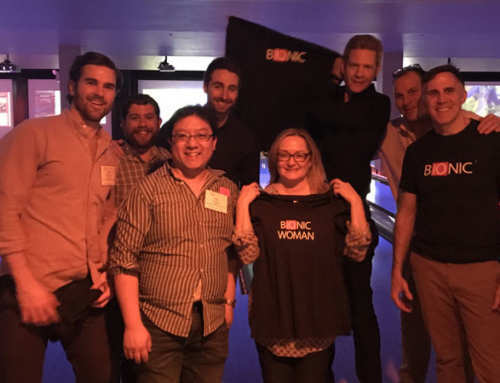 Intelligent options enable media plans in Bionic to recognize the placement’s scheduling goal. On the Specified Date – Start date is managed by the media planner. Right After Previous Flight – Start date is tied to the previous flight’s end date. With this option, the start date of this flight will always be one day after the previous flight’s end date. Any change to the previous flight’s end date will update this flight’s start date. 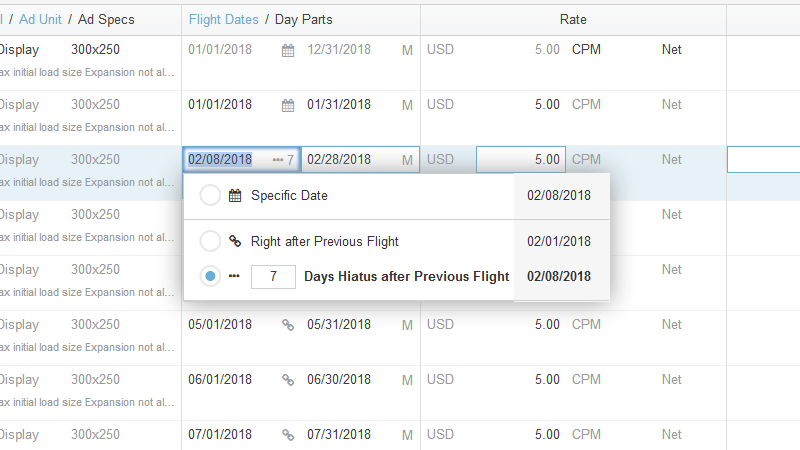 After a Hiatus – This option allows media planners to specify the number of days in the hiatus between two flights. The start date will be calculated based on the end date of the previous flight. Any change made to a previous flight’s end date will automatically update the start date of this flight. How much time would you save if your placement knew what you were thinking when you set its end date? Between needing placements to end on an exact date, running for a specified number of days, or scheduling based on the calendar, there are a lot of different scheduling goals that media planners use every day. To address this need, media planners can now specify following end date policies for placements and flights. On the Specified Date – The most static option. The end date is set by the media planner. Changing the start date will not modify the end date. Preserve the Interval – Bionic’s previous default setting described above. When changing the start date, the interval between the start and end date is preserved. End of Calendar Week (Saturday) – End date will always be the Saturday following the start date. End of Calendar Month – End date will always be the last day of the Gregorian month of the start date. End of Calendar Quarter – End date will always be the last day of the Gregorian quarter of the start date. End of Calendar Year – End date will always be the last day of the Gregorian year of the start date. End of Broadcast Week (Sunday) – End date will always be the last day of the Sunday following the start date. End of Broadcast Month – End date will always be the last day of the Broadcast month of the start date. End of Broadcast Quarter – End date will always be the last day of the Broadcast quarter of the start date. End of Broadcast Year – End date will always be the last day of the Broadcast year of the start date. 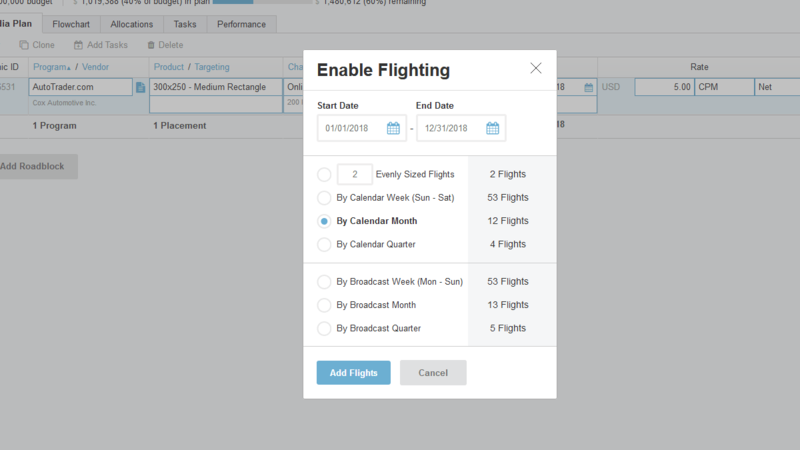 Scheduling flights also received an upgrade with options to best represent your flighting goals. This powerful new feature enables perfectly flighted placements with the click of a button. Specified Number of Flights – Previous default functionality, this option splits the placement into the specified number of even flights. By Calendar Week (Sunday-Saturday) – Create flights breaking on Gregorian calendar week boundaries. By Calendar Month – Create flights breaking on Gregorian calendar month boundaries. By Calendar Quarter – Create flights breaking on Gregorian calendar quarter boundaries. y Broadcast Week (Monday-Sunday) – Create flights breaking on Broadcast calendar week boundaries. By Broadcast Month – Create flights breaking on broadcast calendar month boundaries. 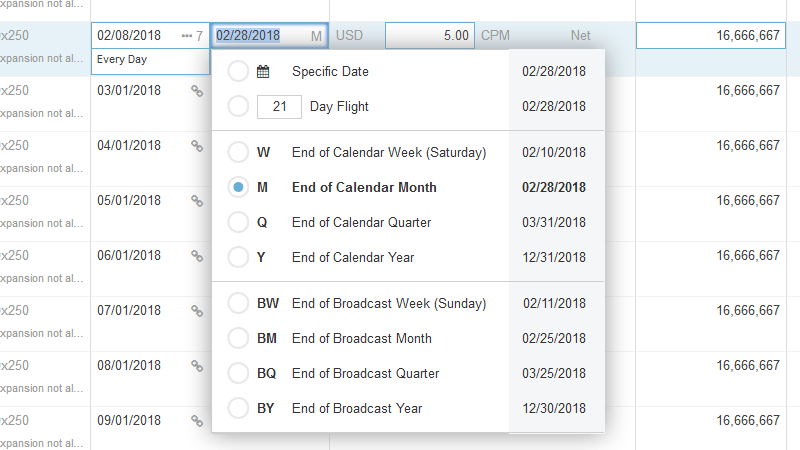 By Broadcast Quarter – Create flights breaking on broadcast calendar quarter boundaries. 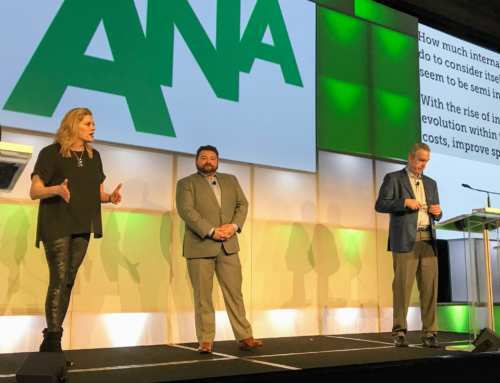 These new, smarter flighting upgrades combined with existing tools that expand and collapse flights, visualize flighting on a flowchart, and set detailed delivery schedules to create a robust toolbox for advanced media planners. If you’re already using Bionic, the new intelligence will be available the next time you log in.